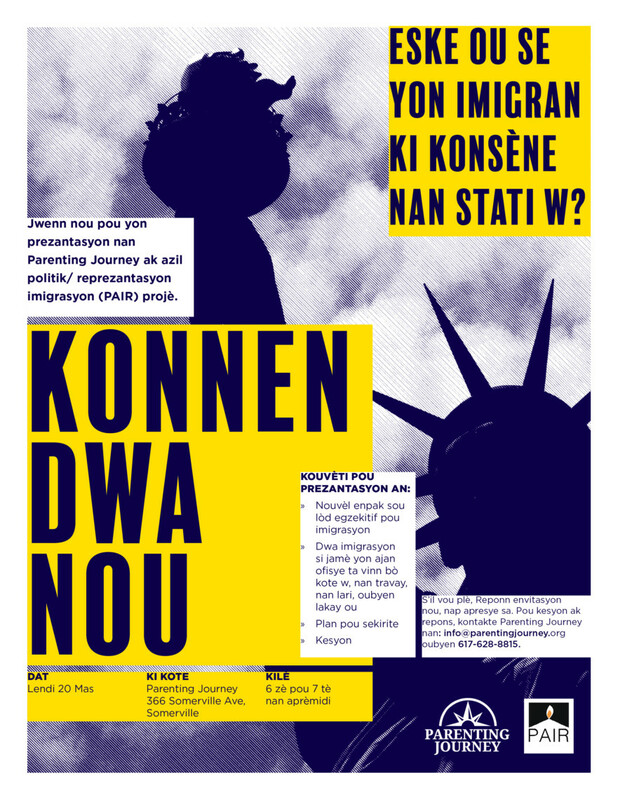 In response to recent executive orders, Parenting Journey is teaming up with the Political Asylum/Immigration Representation (PAIR) Project to hold this special event on March 20, 2017. 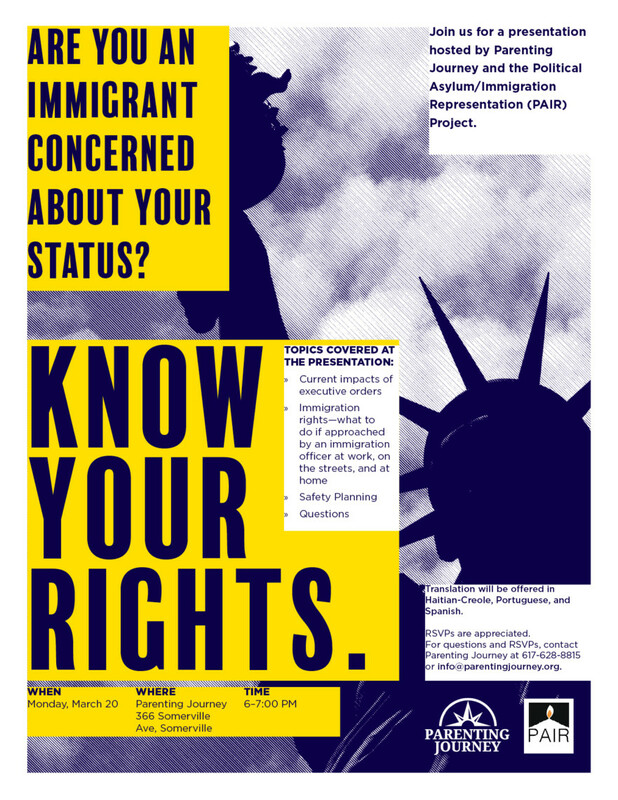 Whether you are an immigrant yourself, or support immigrants in some capacity, this presentation will provide valuable information. Translation will be offered in Haitian-Creole, Portuguese, and Spanish. RSVPs are appreciated. 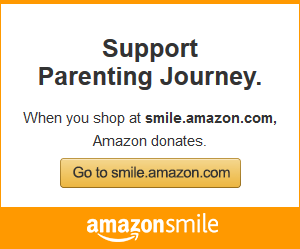 For questions and RSVPs, contact Parenting Journey at info@parentingjourney.org or 617-628-8815. 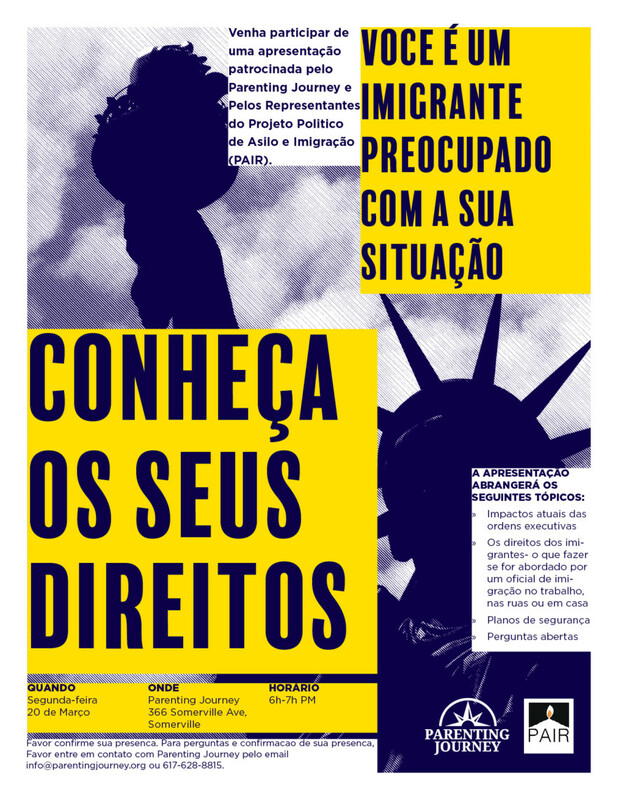 Post a printed flyer in your office, local coffee shop, community center, etc. 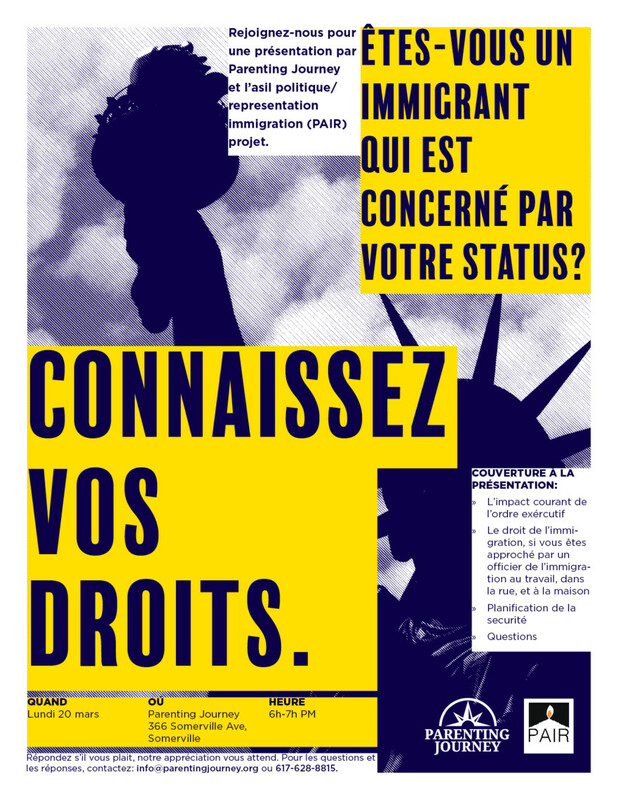 Send the flyers to your colleagues, clients, friends, family members, and anyone else who might be interested. Post a jpeg version of the flyer to social media (Facebook, Twitter, Instagram, Pinterest, etc.). Follow us on Facebook and Twitter and repost our event information. 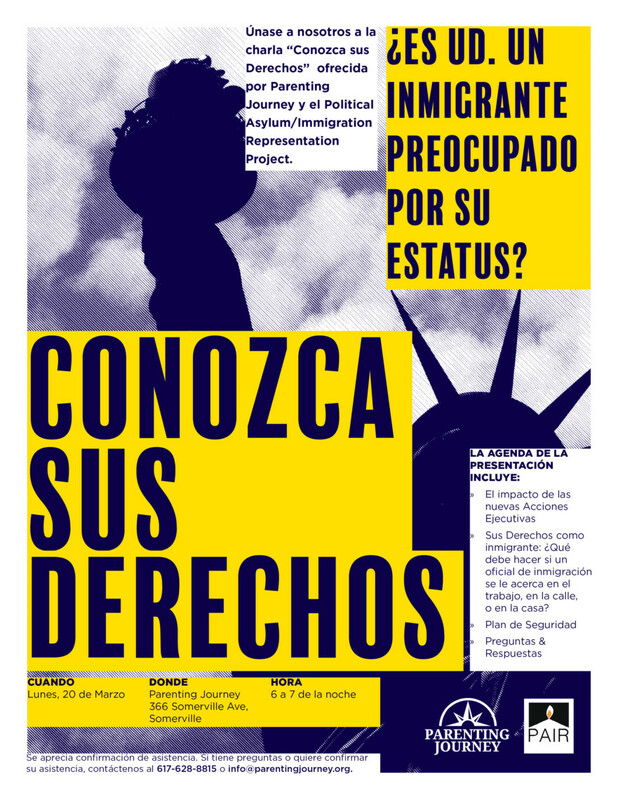 Event flyers are available in English, French, Haitian-Creole, Portuguese, and Spanish.